Absolutely Charming Key West Style Home! Check out this beautiful 4 bedroom, 2.5 bath, 2 car gar home in the charming town of Oldsmar. When you enter the home you will notice the open floor-plan featuring soaring ceilings, amazing floors and crown molding throughout. The dining room has a gorgeous balcony off of it that is the ideal place to drink your coffee & watch the sunsets. The (14x8) kitchen has granite counter tops, lovely cabinets, Whirlpool stainless steel appliances, closet pantry and a breakfast bar. The kitchen opens up to the (18x18) great room w/ sliding doors leading to the (17x9) screened back rear porch, which has views overlooking the backyard and the gorgeous oak tree. The large (24x15) master bedroom has access to the back porch too. The master bedroom has a walk in closet with en-suite bathroom featuring double sinks, granite counter tops, tile flooring, separate toilet area, separate shower and the most amazing bathtub ever! When you go downstairs there is a huge (30x17) bonus room which is perfect for an in-law suite, second living area, or game room. There are two downstairs bedrooms and a full bath. There is another quaint (16x8) screened patio area. The backyard is spectacular! It has an splendid paver patio area for entertaining. The huge fenced-in yard is perfect for the pets to romp and/or siblings to play. 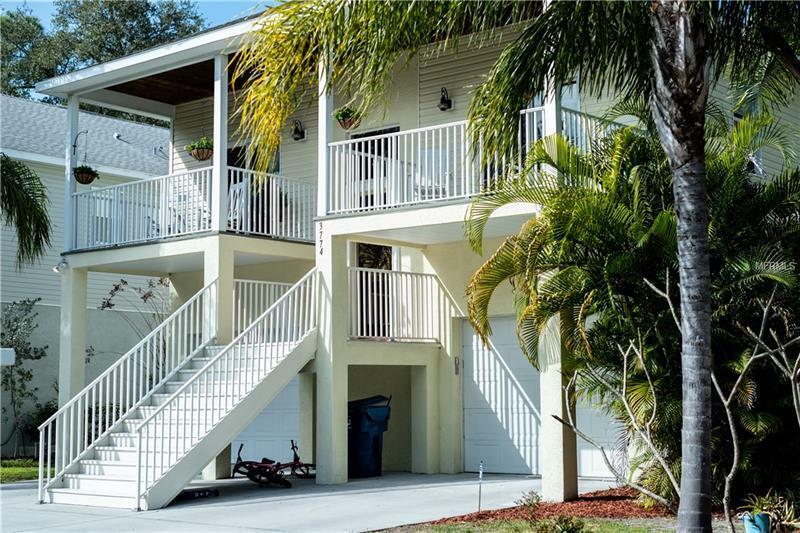 This home is conveniently located near parks, beaches, fishing piers, tennis, basketball courts, zip lines, kayak trails, shopping, restaurants & so much more.